Malaysians have months and months of high profile news to come on the decades of kleptocracy. The only good news being that with so much potentially retrievable from Najib and Rosmah’s global treasure troves, much of the damage can be repaired and meanwhile UMNO is busy digging its own grave. Go to sleep, Mr. Najib while you can before hell on earth comes to you and your wicked wife Rosmah Mansor. Greed and power destroyed you. 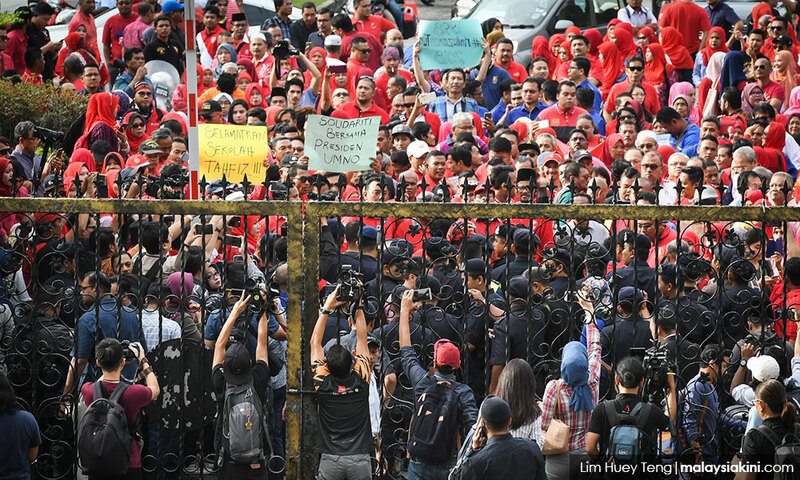 The decision of the Malaysian people to vote in Harapan with a reform agenda on May 9th in many ways seemed to close a chapter on past misdeeds. However, as the daily headlines show, it will be some time before the true scale of kleptocratic looting from Malaysia has been revealed. Indeed, the one billion ringgit treasure haul, garnered from the Najib residences after the election, appears to represent relative trinkets knocking around the house, compared to the real hoard, safely locked up elsewhere. Sarawak Report has it on good authority, for example, that two privately chartered jets arrived from Saudi late on the night of the shock election result, courtesy of the good offices of a relative of an executive of PetroSaudi. Owing to the denial of formal landing rights, they are believed to have departed without the intended primary passengers, Najib and Rosmah. However, a stash of precious items, including a certain pink diamond, is believed to have been brought on board and accompanied out of the country by senior personnel. A separate source, with business connections to the couple, has further told Sarawak Report that to their “certain knowledge” deals they have information on amounted to considerably over RM100 billion in profits, which were banked abroad. The source says they were personally involved in stashing much of the money into mainstream accounts in Hong Kong. The exposure that such devastating sums of hot money, travelled into what the source says included major Swiss and German banks, looks set to rock the global financial system for years to come, keeping the issues of Malaysian kleptocracy in the news for the foreseeable future. Yet, only for the first time this weekend, have we seen an apparent acknowledgement of at least some guilt on the part of Najib himself. In an extraordinary speech the ex-Prime Minister, after weeks of denials, admitted to the system of ‘money politics’, that he had presided over and suggested UMNO clean up its act. “Maybe God wanted to teach us a lesson for our weaknesses. We must repent and correct our ways,” …. “In the last general election, we lost to a party that did not spend much money; we did not know where their divisional offices were, their canopies were the earliest to close, but even when we flocked to our canopies, we still lost. “There were those who sulked when they didn’t get allocations. There were those who did get money but said they didn’t. Then, there were candidates who received allocations but did not spend it. The fact that the UMNO machine failed to operate ‘as normal’ at GE-14 was one of the key identifiable factors in the loss of the election. It is also why UMNO leaders in a recent poll blamed Najib above all as the main factor in the defeat. 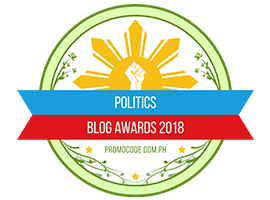 Confronted with his example, as a leader who together with his wife has blatantly stolen billions, and fearful of the outcome of the elections, it appears that party officials simply opted to keep the cash handouts, instead of spending it on ceramahs and bribes to voters at the polling booths. The remnants of that party have just relected Najib’s appointed former Deputy as leader, a man who was not only prepared to support a kleptocrat by covering up blatant thefts and the unconsitutional sacking of his predecessor and Attorney General, but also to lie and pretend he had met the fictitious ‘prince’, who allegedly provided Najib with the 1MDB stolen cash. The choice is hardly surprising, because only 1% of those remaining UMNO members in a recent poll considered “honesty and trustworthyness” of importance in deciding their next leader! Posted in 1MDB Financial Scandal, Character and Integrity, Corruption, Democracy, GE-14 Malaysian General Election, Governance, Hibiscus Revolution--Malaysia2018, Kleptocracy, Malaysia, Najib Razak, Pakatan Harapan, Rosmah Mansor, Tun Dr. Mahathir Mohamad, UMNO. As prime suspect – and defeated Prime Minister – Najib Razak holidays in Langkawi, Malaysia’s new leader says it is better to build an indisputable case than be swayed by populist sentiment into hasty action. The Malaysian government is taking time to build a watertight case in the 1MDB financial scandal and not be swayed by populist sentiment, according to Prime Minister Mahathir Mohamad. 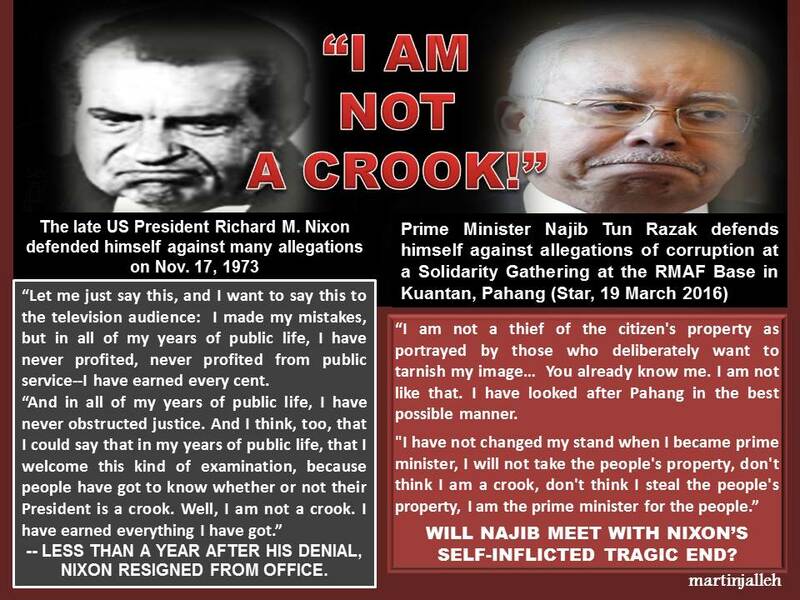 His predecessor Najib Razak is the prime suspect under investigation and has been banned from leaving the country. This week, Najib’s decision to go on holiday to the resort island of Langkawi – which coincidentally is the parliamentary seat of Mahathir – sparked fears he was trying to slip out of Malaysia. Malaysia’s billion-dollar question: where did 1MDB money go? He declined to give a timeline on the next stage of the investigations, even as speculation swirled in Malaysia that the charges could be filed against Najib as soon as the next two weeks. 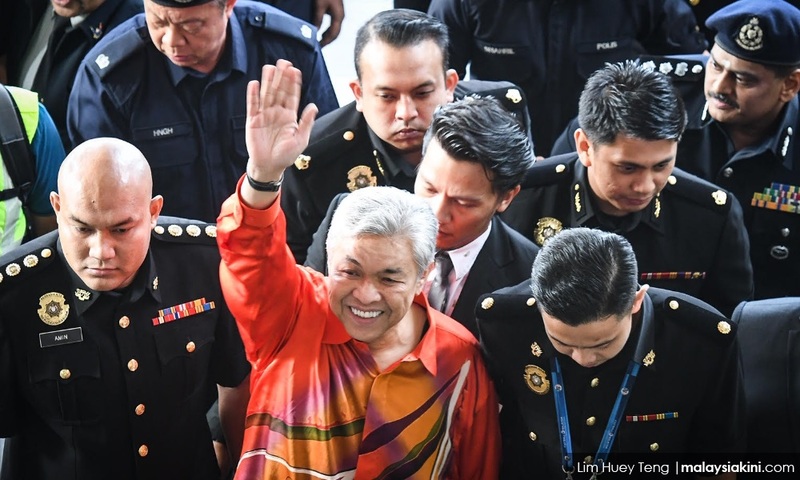 But on Tuesday afternoon, he was quoted as saying that charges would be filed on key suspects – Najib, businessman Jho Low and “a few others” – within months, while a trial would begin later this year. 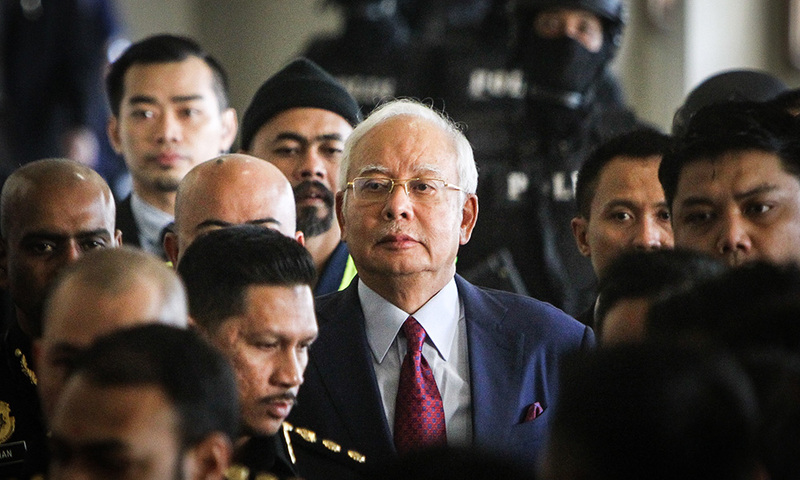 Charges against Najib would include “embezzlement, stealing government money, and a number of other charges,” he said in the interview with Reuters. The 1MDB probe extends across six jurisdictions, including the United States, Switzerland and Singapore. 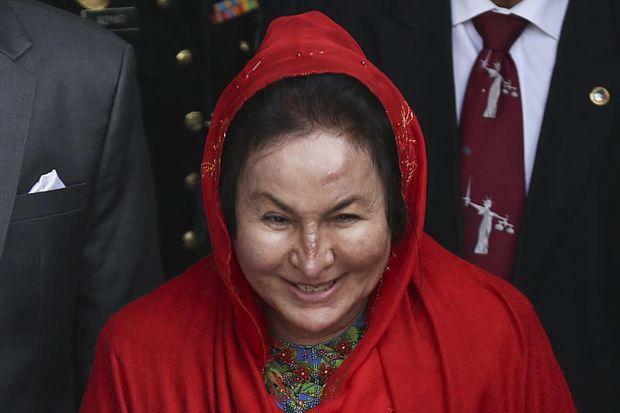 It has also targeted Najib’s wife, Rosmah, known for her flagrantly ostentatious taste in luxury goods. Set up in 2009 as an infrastructure fund drawn from oil revenues, it has lost US$4.5 billion and is now insolvent. Around US$731 million allegedly ended up in Najib’s personal account. The beleaguered former premier has denied any wrongdoing, insisting that the money was a donation from an Arab benefactor. In the interview with the Post, Mahathir, who won a stunning election on May 9, was asked about his views of a rising China and the region. In addition to taking questions about the 1MDB scandal, he was also asked to comment on the possible vulnerabilities of his Pakatan Harapan coalition. While Pakatan now claims 125 seats in the 222-seat Parliament, a recent survey by the reputable think-tank Merdeka Centre has found that the coalition did not win over the majority of Malays, who make up 65 per cent of the population. According to the Merdeka Centre survey, UMNO retained 35-40 per cent of the Malay vote, while the rest was almost evenly split between Pakatan and the Islamic-based party, PAS. In comparison, 95 per cent of Chinese voters chose Pakatan. Malays have special rights granted by Malaysia’s Constitution. Almost all Malays follow Islam, the official religion of the country. Under the previous Barisan Nasional coalition, the Malay-based United Malays National Organisation was the dominant component party led by Najib. Umno had increasingly played the ethnic and religious cards in elections over the decades. Commentators credited Mahathir for attracting enough Malays into the Pakatan camp to tilt the balance decisively in its favour. Mahathir has immense stature among Malays as a respected former Prime Minister who held office from 1981 to 2003. The argument, if correct, begs the question of whether Pakatan will be able to retain Malay support after Mahathir steps down, which he has promised to do after two years. In the interview, Mahathir said there was a clear swing of Malay votes from the Barisan coalition to the opposition in the recent election compared with the previous one in 2015 that contributed to their victory. But the Malay vote itself was split between the rural, suburban and urban areas. It was in the latter two areas that Malays had turned against the previous government because they were disenchanted with the “bad things” happening within Umno, especially the corruption scandal. For rural voters, he said, such issues were harder to grasp but they could understand cost of living woes. He shrugged off his own personal appeal in winning the Malay vote for the future, saying: “Well, I can’t always be popular, one day I will become unpopular because when you are in the government, you have to do unpopular things. That is not something permanent.” But for now, people were upbeat and they felt that life during his first tenure as Prime Minister was better than during Najib’s time, he said. Mahathir, who turns 93 on July 10, was also asked about his physical energy. He laughed, saying it was the number one question he was asked. 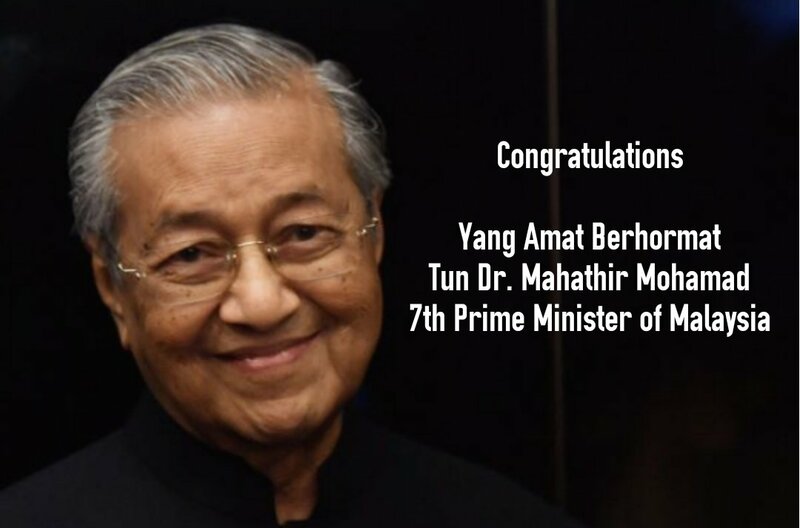 Although Mahathir, a trained medical doctor, has had two heart bypass operations, he feels fortunate not to have suffered debilitating diseases such as cancer. His secret to good health? “I think simple things like not putting on weight, not eating too much, proper sleep, a little bit of exercise,” he said, adding that he gets “enough” sleep – about six hours. When he is not able to do that, he has short power naps. In May, a picture of him at the dining table with just a few spoonfuls of rice on his plate caught the attention of internet users. But then a close-up showed that next to his plate was a small green canister of multivitamin supplements, Berocca. Sales of the supplement received a sudden boost. 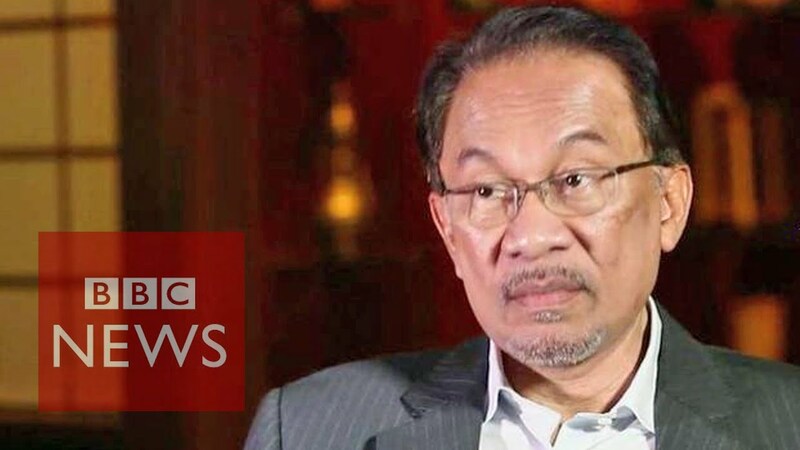 Under a pact made with his former nemesis turned coalition partner, former deputy premier Anwar Ibrahim, he is supposed to hand over the prime minister’s position after two years. However, there have been hints recently that Mahathir intends to stay beyond two years. But would he do so as Prime Minister? He demurred smilingly and said softly: “Ya”. Throughout the interview, he answered questions evenly in his trademark unflappable tone, as an aide kept a strict watch on his time. Asked by a photographer for an autograph, he obliged willingly, noting aloud the date to write to accompany his signature. When the Post invited him to visit Hong Kong, the headquarters of the publication, Mahathir politely remarked about the times he spent there. “My first ever visit to Hong Kong was in 1960. Where were you?” he quipped to his much younger interviewers. Posted in 1MDB Financial Scandal, Character and Integrity, Corruption, Fiscal Mess, Foreign Policy, GE-14 Malaysian General Election, Governance, History, Inequality, Interview, Justice, Law and Order, MACC, Media, Meritocracy and Competence, Money Laundering, Najib Razak, Pakatan Harapan, Politics, Public Accountability, Rosmah Mansor, Tun Dr. Mahathir Mohamad. The Prime Minister tells the New York Times that Najib’s government ‘raped’ not just 1MDB but also other govt-funded initiatives. 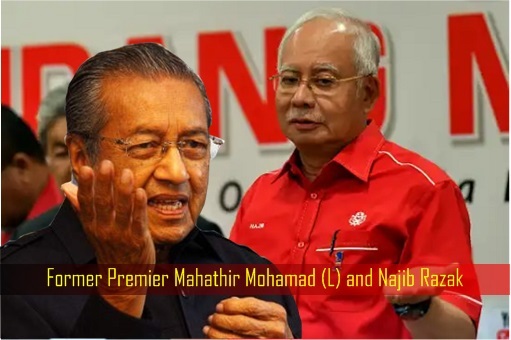 KUALA LUMPUR: Before the 14th General Election, Pakatan Harapan (PH) felt things were rotten at the core of Najib Razak’s government, but now they find it is even worse than they thought, said Dr Mahathir Mohamad. “The more we look into the previous administration, the more bad things we find. Any organisation that had money, the previous government found the means to take the money,” he told the New York Times (NYT) in his office on Wednesday. 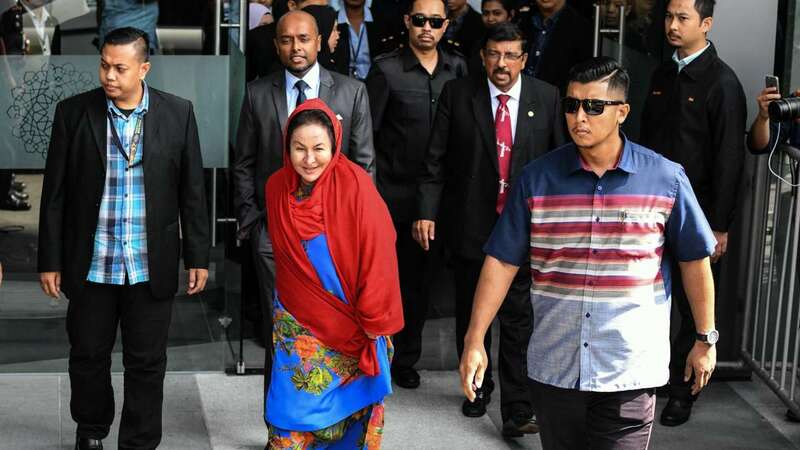 Mahathir said his government had accumulated “enough evidence” to put former Prime Minister Najib and his wife Rosmah Mansor on trial. Mahathir, who served as Prime Minister from 1981 to 2003 and who led the PH to a stunning win on May 9, said he discovered that Malaysia was in far worse financial shape than they had feared. The national debt, tallied at US$170 billion by Najib’s administration, had been reassessed, along with other government liabilities, at US$250 billion. That is 80% of Malaysia’s gross domestic product, the report said. But Mahathir told the NYT, the problems extended beyond 1MDB to encompass an array of government-funded initiatives. Lim claimed if the PH had not won, Malaysia “would have become a basket case”. The report noted that Mahathir had been criticised for “his authoritarian impulses”, playing race politics, muzzling the news media and locking up his enemies during his first stint as Prime Minister. However, it added, even former detractors contended that he was a changed man now and that he understood that unchecked power in the wrong hands could devastate a country. Lim described Mahathir as a “man with a mission, driven by the need to get things done in the shortest possible time. He’s moving at a frenetic pace.” The NYT report noted, however, that Malaysia’s problems did not start with Najib. “The state in which the country is today is not just the result of Najib Razak’s misgovernance but also decades of populist politics and semi-authoritarian practices,” it quoted Sophie Lemière, a Malaysia specialist at the Ash Center for Democratic Governance and Innovation at Harvard University, as saying. But, the report said, Mahathir refused to acknowledge any systemic faults with the Malaysian political system. He blamed Najib’s “astonishing greed” for the nation’s predicament.The report also noted that Mahathir had distanced himself from his vow to hand over power within two years to PKR de facto leader Anwar Ibrahim. Mahathir joked that he had suggested that time frame only because some thought he might become senile at age 95. Posted in 1MDB Financial Scandal, Character and Integrity, Corruption, Democracy, Ethics, Fiscal Mess, Freedom, GE-14 Malaysian General Election, Governance, Hibiscus Revolution--Malaysia2018, Najib Razak, Pakatan Harapan, Public Accountability, Rosmah Mansor, Tun Dr. Mahathir Mohamad, UMNO. Cecil Abraham and Partners enable clients to realise solutions through clarity of thought and advice. We deliver smart and efficient dispute resolution solutions. The significance of a court ruling in KL today (June 4, 2018) was perhaps muted by the extraordinary excitement of these moving times. However, that ruling has opened the floodgates against a cover-up exercise that has strained the Najib administration for over a decade. Sarawak Report has been covering the dogged litigation of widow Selvi Bala and her former lawyer Americk Sidhu (now himself a witness in the case) against 9 defendants, whom she holds responsible for blackmailing her husband PI (private investigator) Bala after he tried to speak out as a witness over the murder of the Mogolian model Altantuya Shaariibuu. Bala, like others, had considered the trial a travesty designed to protect ‘high level’ individuals caught up in Altantuya’s threats to expose both her knowledge about kickbacks on a French submarine deal with the former Defence Minister and later PM, Najib Razak, and also her alleged affairs with Najib and his proxy ‘defence consultant’ Razak Baginda. The private investigator had issued a statutory declaration to the effect that both Baginda and Altantuya had told him that Najib had been her lover and that he was certain that Najib’s two bodyguards, who were found guilty of shooting then blowing up Altantuya’s body, would not have done so without orders. Today’s court hearing went to the heart of the cover-up that allegedly followed Bala’s declaration back in 2008, which Najib and his lawyers had managed to keep the matter out of court by one method or another right up until the last election. Selvi’s case was that 9 defendants had conspired to force her husband Bala to change his declaration, in order to leave out Najib’s name. 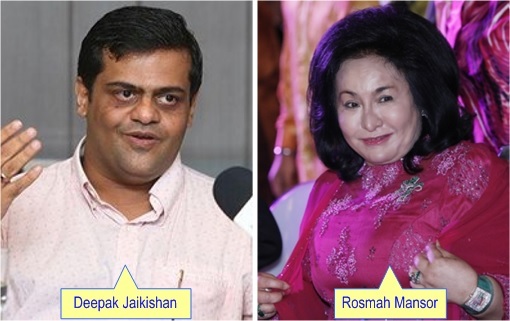 These defendants were primarily Najib and his wife Rosmah, two of Najib’s brothers, a business partner of Rosmah, Deepak Jaikashan, (whom she used as fixer for the occasion) and some lawyers, primarily Cecil Abraham and his son Sunil, who were close to Najib. Together, Selvi claimed, they had threatened, blackmailed and bribed Bala to flee the country with his family, after a night during which he was forced to sign a new declaration drawn up by Cecil Abraham and son Sunil. In 2013 Bala returned and retracted that second declaration, shortly before dying of a heart attack. During the course of Selvi’s case for compensation, owing to the impact on her family, all of these defendants successfully pressured the courts to strike out the case against them (on highly controversial grounds accepted by Najib’s Chief Justice Raus) except for Deepak, who had since 2012 made clear he was prepared to back up Bala’s story. This meant that Selvi’s litigation was continuing throughout last year, but against Deepak only. Thus by 2017 Deepak alone was defending Selvi’s demands for compensation, keeping the case hanging on by a thread. Nevertheless, the world could see that if Selvi gained a ruling in her favour by the court against this last defendant, then that judgement would confirm the complicity of all the others, including Najib and Rosmah, in the shocking cover-up of evidence in a murder trial that pointed heavily towards their additional complicity either in that killing or, at the very least, in the failure to prosecute those responsible for ordering the death of a woman who was blackmailing Najib and his proxy. As Sarawak Report exclusively reported at the time, Deepak had no desire to plead other than guilty for his part, since he plainly wished for the greater guilt of those who had engaged him to fix the cover-up to be exposed. We published an exclusive copy of the original defence drawn up by Deepak’s lawyers, which acknowledged all of Selvi’s allegations and named Najib and Rosmah as the “masterminds and beneficiaries” of the conspiracy to cover-up PI Bala’s evidence. However, moments from putting that document into court last November, Najib’s agents intevened in the form of another lawyer, Shafee Abdullah (pic above), who together with the Tabung Haji Chairman, Abdul Azeez Abdul Rahim, liased between Deepak and the Prime Minister to force a change of story. As Deepak has informed Sarawak Report, Najib was abusing his powers as PM-Finance Minister to hold huge tax bills over Deepak’s head, which he offered to drop if Deepak cooperated. Ironically, those bills were linked to land deals that Deepak had conducted on behalf of Najib’s own wife Rosmah, for whom he was acting as a proxy, says the businessman. To get off millions in tax demands, Deepak agreed to play ball and allow Shafee to place a new defence that denied all Selvi’s allegations. However, right up to the election Deepak and his ‘new lawyer’ Shafee wrangled with each other and the court, finding excuses to avoid a hearing where Deepak could be cross examined about his change of tune. When the case returned to court after the election what a different story Deepak had to tell. 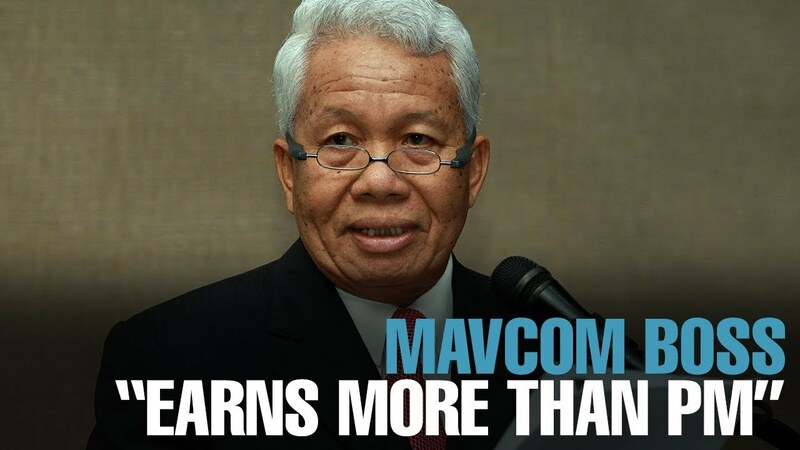 In an exclusive interview with Sarawak Report last month the businessman had already confided that the endless hospital appointments, designed to keep him out of the witness box to avoid embarrassment before polling day, were of course a sham. Azeez, says Deepak, had organised a doctor to provide a certificate and place him overnight in hospital, a matter he conspired over with Shafee. Deepak has played recordings to Sarawak Report of those conversations between himself, lawyer Shafee and the agent of Najib, Azeez, where the fake hospital appointments were arranged. Today, again before the judge, Deepak admitted that his first and not the second defence devised by Shafee was the honest statement he plans to stand by. He also made clear he had never formally appointed Shafee, who had represented him only through blackmail. Both these points were accepted by the judge, leaving Deepak to face cross-examination on the case at the next hearings, as well as Shafee himself and the other witnesses named in the case. The consequences for lawyer Shafee, now accused of faking hospital appointments and blackmailing a reluctant client on behalf of a separate interest, namely Najib and Rosmah, the prospect of the later stages of this civil trial are dismal. Not least, because Shafee is likely to be also asked about a combined payment by Najib of RM9 million out of 1MDB money, for services not yet explained. And what about two other Najib associated lawyers in the case? Selvi’s petition stated that on the night her husband was blackmailed into changing his statutory declaration, in order to remove all reference to Najib, the prominent lawyer Cecil Abraham and his son Sunil joined Bala and Deepak overnight in a hotel room at the Hilton Sentral hotel in KL, in order to draw up that spurious new document. Deepak, in his first and now revived defence, admitted this claim to be true and confirmed the role of the two lawyers, who had been called into the matter by Najib together with two of his brothers, who helped handle the situation that night. Americk Sidhu is expected to put in a complaint to the Bar Association shortly regarding this disturbing conduct. Given the extensive and unhealthy ties between Najib and these lawyers, the present reported role of the father and son as key advisors to the Agong, currently resisting the appointment of the new Prime Minister’s choice of Attorney General is disturbing. Are they representing the interests of the present administration or the old PM? Most at risk from the developments in this marathon case, launched by a single widow to avenge her dead husband and compensate her family, are the former PM himself and his wife, described by the defendant himself as ‘masterminds and beneficiaries’ of the ‘conspiracy’ to silence Bala. For ten years this couple have moved heaven and high water to hold this case at bay, now they no longer have the power to do so and the reason for their apparent attempts to obstruct the course of justice seem set to become fully known to all. Posted in Altantuya Murder, Attorney-General, Character and Integrity, Civil Suit, Corruption, Ethics, Governance, Malaysia, Najib Razak, Politics, Rosmah Mansor, Rule of Law, Sarawak Report.